Candidates who are applying for KVPY 2018 must check the detailed eligibility criteria given below. The KVPY Eligibility Criteria 2018 include educational conditions for each stream-SA/SX/SB, which candidates must fulfil to avail the fellowship programme. To fill KVPY application form 2018, candidate must be a citizen of India. SA Candidates who enrolled themselves in Class 11th (science stream) must apply for this exam. Minimum Marks: Candidates must pass class 10th with Mathematics & Science subjects with minimum 75% (65% for SC/ST/PwD). SX Qualifying Exam: Candidates who have taken admission in class 12th (science subjects) can apply. Minimum Marks: Candidates must score minimum 60% (50% for SC/ST/PwD) in Mathematics and Science subjects (PCB) in Class 12th. Candidates also have to obtain at least 75% (65% in case of SC/ST/PwD) in class 10th. SB Qualifying Exam: Candidates who enrolled in 1st year of the UG programme in Basic Science (Physics/Chemistry/Mathematics & Biology)- B.Sc/BS/B.Math./B.Stat./MS/Int. M.Sc) can apply for this exam. Minimum Marks: Candidates must score at least 60% (50% in case of SC/ST/PwD category) in 10+2 examination. In the first year of their final exam in B.Sc/BS/B.Math./B.Stat./MS/Int. M.Sc, students must secure 60% (50% for SC/ST/PWD). Candidates can register for the KVPY exam from July 11, 2018. The last date for KVPY 2018 Registration will be August 31, 2018. Candidates can submit the application fee through online (Credit Card/Debit Card/Net Banking) mode. The application fee is INR 1000 for General category & INR 500 for SC/ST/PwD category). What to Carry with KVPY Admit Card 2018? Exam Mode: The aptitude test will be conducted through online (Computer Based Test) mode. Date & Shift: It will be organized on November 4, 2018. It will be started from 9:00 AM to 12:30 PM for Stream SA. For Stream SB/SX, the exam will begin from 2 PM to 5 PM. Medium of Question Paper: The question paper will be asked both in English & Hindi Language. Type of Questions: It is a multiple choice type question paper. All the questions are compulsory to attempt in Stream SA. There is an option to attempt any three sections in PART I & any two sections in PART II in Stream SB/SX. Duration of Exam: The duration of the aptitude test will be three hours. Sections: The question paper will contain two sections: PART I & PART II. There will be four sections in PART I & PART II. Total Marks: The question paper will consist of 100 marks. The question papers of Stream SA & Stream SB/SX will be of 100 marks. In PART I of both the Stream, one mark will be awarded for correct response & 0.25 marks will be deducted for incorrect response. In PART II of Stream SA & Stream SB/SX, for each correct response two marks will be given to the candidates & 0.5 marks will be deducted for incorrect answer. SA Stream KVPY Exam was moderate, tricky and time-consuming. Mathematics and Physics section was easy while Chemistry was moderate. Important Topics in Physics– Physics section had around 14 questions which were found to be easy and direct. This section had most questions from Optics and Mechanics. Important Topics in Mathematics– Mathematics section holds 25% weightage of the exam and had 13 easy questions. The most important topics in this section were Coordinate Geometry and Straight Line. SB Stream KVPY Exam was easy to moderate. Mathematics was found to be the most difficult section in the exam. Physics and Chemistry were easy while Biology was moderate. Important topics in Physics– Physics section had 21 easy questions out of the 40. Electrodynamics, Optics and Mechanics were the most important topics in the exam. Important Topics in Biology– Biology section was moderate in the exam with 32 questions of moderate difficulty level. Molecular Genetics and Biomolecules were the most important topics in the exam. It must be noted by candidate that no request for re-evaluation of KVPY result is considered under any circumstance. Candidates who obtain the KVPY cutoff marks as per their category are considered qualified for the fellowship programme. How to Check KVPY Result? Fill all the required details like Application Number and Date of Birth carefully. Date of birth should be given in the format of DD-MM-YYYY. After filling the details, click on the “Continue” button. Candidates don’t forget to take extra printouts of the result for further admission process. The KVPY Cutoff is calculated on the basis of performance in the aptitude test. KVPY cutoff for each of the streams is announced out of maximum of 100 marks. The final merit list will be prepared by providing 75% weightage to the aptitude test and 25% weightage to interview. Candidates will be called for the selection procedure on the basis of their performance in the KVPY Aptitude Test. The selection process will include interview round. The interview round will be held in the 3rd week of January 2019. Candidates will be informed about interview dates, time & venue through email/website. After the successful completion of the entrance exam & interview round, the scholarship will be provided to the successful candidates. KVPY Merit List is prepared by considering the scores obtained by the candidate in the Aptitude test and Interview. The evaluation is based on 75% marks of Aptitude test and 25% of performance in interview. Candidates are evaluated on the reasoning and candidate’s analytical abilities. Candidates are required to obtain a total of 75% marks out of the total weightage. Candidates are required to attempt any three sections in Part I and any two sections of Part II for SB/SX stream only. The shortlisted candidates are allocated a venue of the interview as per the KVPY Test Center allocated to them. Interview is primarily conducted to gather additional information on each finalist applicant with regard to their knowledge, abilities and aptitude etc. in the field of science and research. Candidates will be eligible for KVPY Fellowship/scholarship based on their performance in aptitude test and interview. The authority will award the scholarship to the selected candidates. Ques. How can apply for KVPY 2018? Ques. When will the registration for KVPY 2018 start? Ans – The online Registration for KVPY 2018 has been started from July 11, 2018, until August 31, 2018. Ques. When can I download my admit card for the KVPY 2018 exam? Ans – You can download your admit card from the official website in the 2nd week of October 2018. Ques. When will be the KVPY 2018 exam held? Ans – The KVPY 2018 is scheduled for November 4, 2018. Ques. 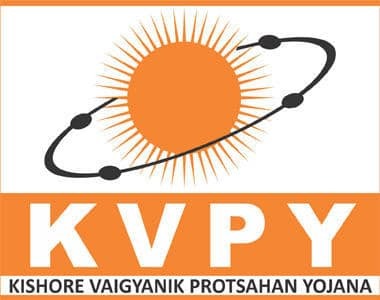 When will be the results for KVPY 2018 declared? Ans – The results will be declared in the 1st week of December 2018. Ques. When will the interview round start? Ans – Interview round for KVPY 2018 will be held in the 3rd week of January 2019. Ques. What is the Application Fee for KVPY 2018? Ans – The application fee for KVPY 2018 is INR 1000 for candidates of General category & INR 500 for SC/ST/PwD category. Ques. Can I submit the fee for KVPY through challan? Ans – Yes, you can submit the application fee through online (Credit Card/Debit Card/Net Banking) or offline (Challan) mode. Ques. For what streams is KVPY 2018 conducted and what is their Eligibility Criterion? Stream SA: Candidates who have passed Class 11th (science stream) can apply for this exam. Minimum Marks: Candidates have to pass class 10th with Mathematics & Science subjects & secure minimum 80% marks (70% marks for SC/ST/PwD) in aggregate. Stream SX: Candidates who have passed class 12th with Mathematics & Science subjects (PCB) can apply for this exam. Minimum Marks: Candidates have to score minimum 60% marks (50% for SC/ST/PwD) in aggregate in Science subjects (PCB) in Class 12th. Candidates also have to obtain at least 80% marks (70% marks in case of SC/ST/PwD) in aggregate in class 10th. Stream SB: Candidates who have enrolled in 1st year of the UG programme in Basic Science (Physics/Chemistry/Mathematics & Biology) leading to B.Sc/BS/B.Math./B.Stat./MS/Int. M.Sc) can apply for this exam. Minimum Marks: Candidates have to score at least 60% marks (50% marks in case of SC/ST/PwD category) in 10+2 examination. Ques. What is the syllabus for the written exam? Ans – There is no prescribed syllabus for the exam but students are tested for the syllabus up to class X/XII/1st year of B.Sc./ B.S./ B.Stat./ B.Math./ Int. M.Sc./ M.S. as applicable. Ques. What is the Pattern of KVPY exam? Ans – The KVPY exam will have multiple choice questions of 100 marks and the paper will have two sections i.e. PART I & PART II. The duration of the examination will be three hours. Ques. What is the marking scheme for the exam? Ans – Students will be awarded one mark for each correct answer in PART I and two marks for each correct answer in PART II. Negative Marking: In PART I, 0.25 marks will be deducted for each incorrect answer and in PART II, 0.5 marks will be deducted for wrong response. Ques. Can I attempt the exam in Hindi language? Ans – Yes, you can attempt the exam in either English or Hindi Language. Ques. Can State board students participate in KVPY 2018? Ans – Yes, State board students can apply for KVPY 2018. Ans – All questions are compulsory (Science and Mathematics) for Stream-SA. For streams SB and SX, there will be four sections in Part I (Physics, Chemistry, Biology and Mathematics) and four sections in Part II (Physics, Chemistry, Biology and Mathematics) and all the students have to select any 3 of the 4 subjects in Part I and any 2 of the 4 subjects in Part II. Ques. When will I be finally eligible for the scholarship based KVPY program? Ans – All the students will be finally eligible for the scholarship based KVPY program after successfully clearing the interview round. Ques. What are the important Documents required at the time of Interview? Ans – KVPY does not allow its Fellows to be eligible for any other scholarship apart from its own, whether it is government or private. However, if there is any such case, they relinquish the other fellowship so that the student can avail the KVPY Fellowship. Ques. Are calculators allowed in KVPY exam? Ans – No, you cannot take the calculators to the exam centre but virtual calculators will be made available to you at the exam centres. Ques. Where can I contact KVPY in case of any query? Ans – In case of any query, you can call on 080 – 22932975/76, 080- 23601008 & 080 – 22933536 or email at applications.kvpy@iisc.ac.in. Ques. Tell me about the fellowship program?